Yup, self is once again in a foreign clime. It was not so bad, the change this time. London is only eight hours ahead of California. And it is warm in the city. 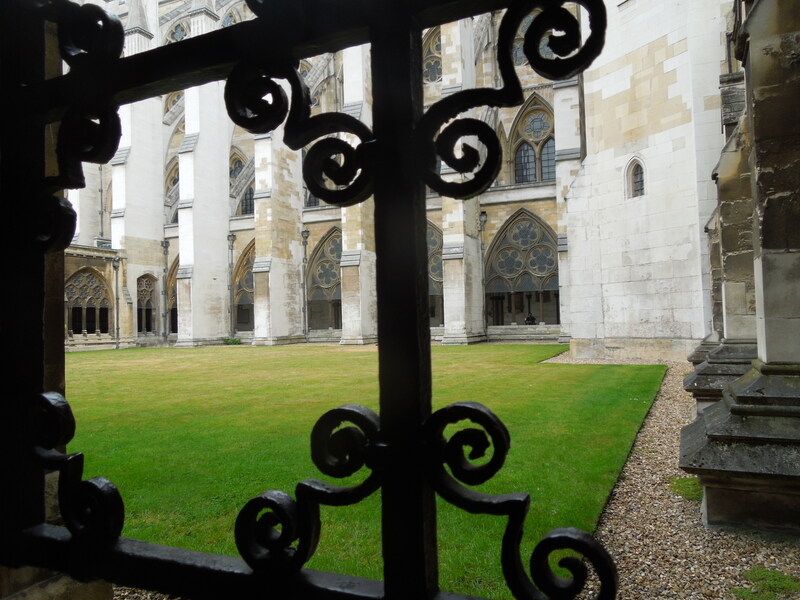 Self’s first stop (after arriving from the airport ) was Westminster Abbey. Because, The Infernal Devices. This is, after all, her Shadowhunters London tour. 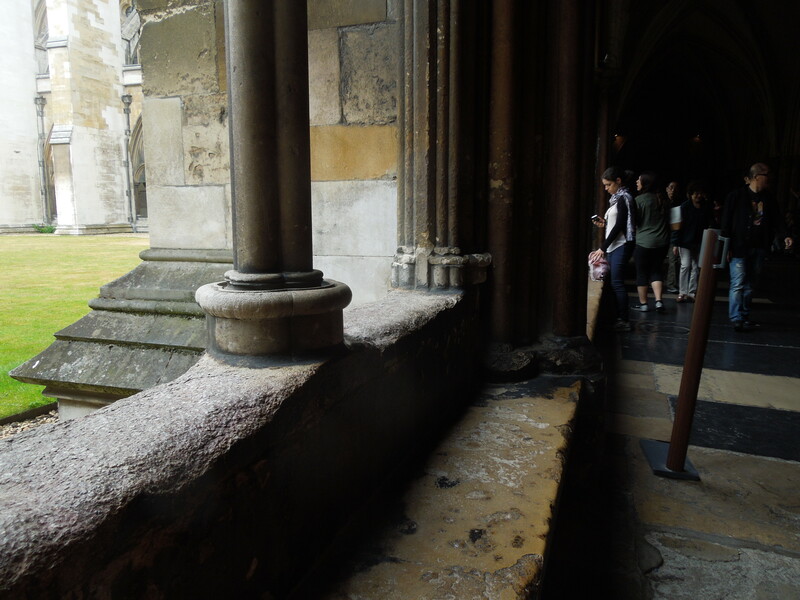 She had known that famous kings, queens, soldiers, and poets were buried in Westminster Abbey, but she hadn’t quite expected she’d be standing on top of them. And it is true, dear blog readers, that one is really standing on top of stone slabs that say: Charles Darwin. Charles Dickens. Samuel Johnson. William Wilberforce. It feels a little disrespectful, but even though a man decked in out the bright green robe of a docent insisted that the actual bones of the famous gents were underneath the stones, she didn’t quite believe him. It is also quite strange that there are some children buried there, along with Isaac Newton and Edward the Confessor, and also some anonymous knights. Mary Queen of Scots gets her very own chapel. And why do Jane Austen and the three Bronte sisters have to be beneath a whole wall of names of MEN: Keats and Shelley topping the whole. 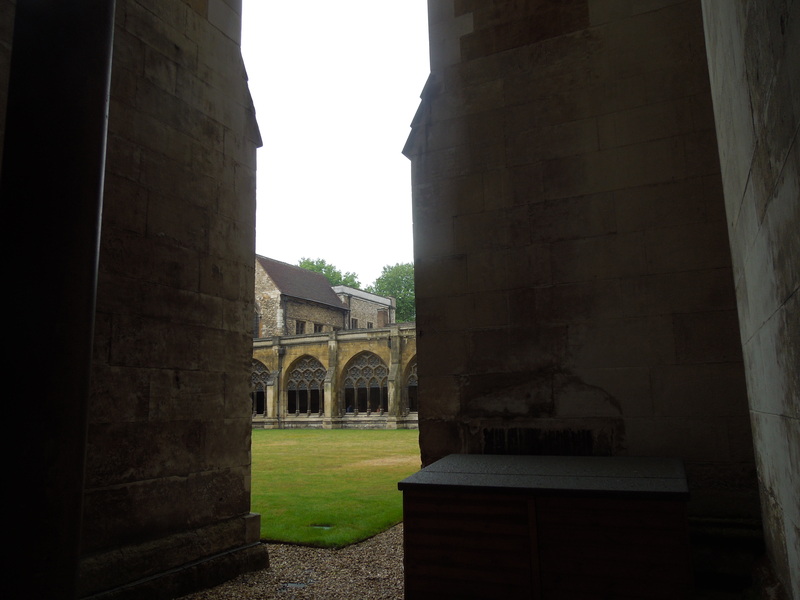 Photographs are not allowed, so these were a few random shots self took from outside the Abbey. She had lunch at the on-site restaurant, the Cellarium Café. Try the duck with bok choy. The waiter recommended it, and it was so much better than the roast duck she had at Fung Lum in the San Francisco Airport. The grass is so vividly green in England. Afterwards, she made an entire circuit of St. James Park, and wished she could linger, but she was also in a hurry to take a nice, warm shower. Because it felt like she hadn’t showered in 48 hours. A terrible feeling. Another place prominently featured in The Infernal Devices is the Thames, because of course Jem and Will spend a lot of time conversing on the riverbank, the Victoria Embankment, where they can look at Cleopatra’s Needle and, to their right, Hungerford Bridge. Self might make that the next stop on her Shadowhunters tour. Self was telling a cab driver about Cassandra Clare’s mention of Poet’s Corner and the Pyx Chamber in Westminster, and suddenly the taxi driver said, “That sounds a lot like Harry Potter.” Which surprised self exceedingly but really shouldn’t have, because she knows that Clare got her start writing Harry Potter fan fiction. So of course, that overlay of the magical with the mundane — Clare was definitely influenced by J. K. Rowling. But self likes Victorian Steampunk so much better than plain old Harry Potter magic. Because she adores the scenes of violent demon-slaying and all that mayhem occurring on Blackfriars Bridge. She really is such a bloodthirsty soul.